But what will happen after this date? It is very important for you to mark the date on your calendar if you are an EU citizen and wish to continue living in the UK, as you need to apply for “settled status” before the 30th of June 2021, or you may lose your rights to live and work in the UK. There is no point in waiting until the deadline! In order to secure your rights, you will need to apply for status through the EU Settlement Scheme. The scheme will be fully open by the 30th of March 2019. Apply as soon as possible and provide yourself with peace of mind. So, who is eligible to settle in the UK? Proof of identity, such as a valid passport or national identity card. Proof of residence, for example – P60s, bank statements and utility bills. The supporting documents must show that you are eligible for settled or pre-settled status; you must cover a 5 year period for settled status, or, you must show that you moved to the UK before the 31st of December 2020 to apply for pre-settled status. Additionally, it is worth mentioning that you will be checked against the UK’s crime databases. If you have any conviction you may still get settled or pre-settled status, but this will be judged on a case-by-case basis. Of course, not everyone’s circumstances fit neatly into the law as quoted above, but do not despair if this applies to you, as there are also some exceptions and remedial rules that you can use for grey areas, especially since the EU law is not just determined by the Government regulations, but also EU case law…For more information please visit the government website and contact a UK Immigration Solicitor. What if I already have a Permanent Residence Card? For those who currently have Permanent residence status under EU law, you need to bear in mind that the EU law will no longer apply after the UK leaves the EU, which means that the migration and status of EU citizens will only be subject to UK law. So, you still have to exchange your Permanent residence card under the Settlement Scheme, and this is confirmed on the government website. But the good news is that, swapping your current PR card for a Settled Status Card will be Free of Charge. How much is an application for settled status cost? But this is still subject to approval by Parliament. So, is it still worth applying now for Permanent residence status under EU law? Yes! This will probably still be a sensible solution if you are an EU national who has been here for more than five years exercising your treaty rights as a worker, job seeker, student etc. This will be especially helpful if you are thinking about an application for British nationality (as you must now have a permanent residence card to apply for British nationality). 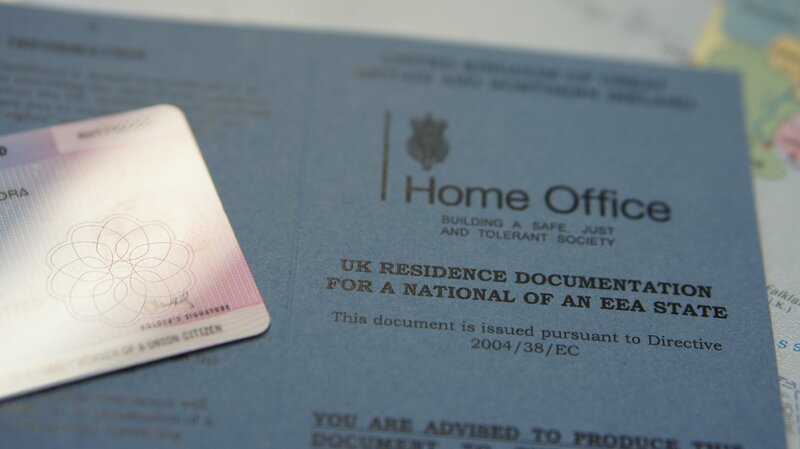 But moreover, a Permanent Residence Card probably means less paperwork later during application for settled status, as according to the information on the government website, you will be able to exchange this document for settled status free of charge under the EU Settlement Scheme and you won’t repeat any assessment of residence. If you have been affected by this issue or any other UK immigration matter, please contact Tito, a UK Immigration and Human Rights Solicitor, for a Free Initial Consultation about your legal options – it’s free! Call 07544 669131 / 01163800744 Or on Skype: tito.mbariti. I would like to thank Tito, for his informative free advice, and his quick response to my queries. I would recommend his service to friends or family in the future.